The Pier furniture range brings modern design combined with functionality. 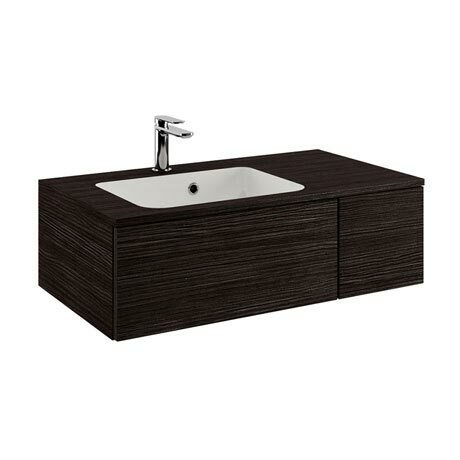 This wall hung console unit and basin is available in both single and double draw options. Crafted from high-quality water-resistant MDF with a specialist laminate worktop the range is characterised by its sleek handleless design, dark wood tones and soft close drawers. A matching freestanding mobile storage unit is available and provides additional storage space and an extra work surface area. The white cast mineral marble basin comes supplied without tap holes but the tap ledge is pre-prepared with up to three tap holes on the underside for easy on-site drilling.